I rarely believe that a single event can change your life, but attending the ‘Find Your Inner Compass’ retreat last year was a game changer for me. I went on the retreat at a time in my life when I knew I needed to make changes in my career, but if I’m honest, I lacked the courage and clarity to do so. Siri Bani and Sarah created a beautiful container and space throughout the weekend for me to really think about what I wanted for my life and by the end of the weekend, all of the steps that I needed to take to achieve my vision came to me. I still have the paper from the retreat where I wrote down the steps I wanted to take over the course of the last year to accomplish my vision, and as I look back, I accomplished almost all of them. The most incredible part is that a lot of the steps happened naturally over the course of the year, and I believe it was because I set my intention so clearly during the retreat. If you’re at a crossroads in your life or there is a part of this retreat speaks to you. Take action. Sign up. You won’t be disappointed. Cindy, Siri Bani, Ludlam is founder of Kundalini Yoga Brattleboro and You Go Girl Yoga. She is also an adjunct professor at Landmark College and Endicott University.n As a wellness coach, visual artist, art and yoga educator, she wears many hats. She has had the opportunity to learn a great deal of practical and useful tools. Sharing all she has learned and benefited from has become her passion! She is committed to helping people of all ages become the absolute BEST version of themselves. She specializes in facilitating quick change from the inside out; dissolving the mental and emotional blocks that keep us stuck in negative patterns so we are able to enjoy a happy, empowered life. This is a life where we enjoy forming uplifting connections and learn to embrace a new way of being. You only have one life to live, so start living your best life NOW! She is a certified K.R.I. Kundalini Yoga Instructor, a certified Level 2 Radiant Child Yoga Instructor and a certified Level 2 Reiki Practitioner and has been practicing many styles (Kundalini, Power, Flow, Bikram, Ashtanga) of yoga as well as teaching art and yoga for over two decades. She is certified in Brain Gym and has trained with Jon Kabat-Zinn. In addition to teaching yoga, she is an artist, former art instructor and a field associate in the Art and Education Department at Boston University. She received her BFA from The School of the Art Institute of Chicago and her MFA from The College of Fine Arts at Boston University. She has taught art at Boston University, Monserrat College of Art, the Chapel Hill-Chauncy Hall School and in the Waldorf Schools. She is the former Dean of Faculty at the Chapel Hill-Chauncy Hall School. Her fundraising efforts have been supported by Gisele Bundchen and other powerhouse women in Kundalini Yoga and the field of feminine power. Everything she does, she does with love, light, and radiance. For the last twenty years, Sarah Brassard has been guiding women from a place of struggle in life to one of grace, peace, and ease through her signature process of sacred self-care. She is the author of Inside: A Guide to the Resources Within to Stay Vibrant and Alive Through All Life’s Challenges, due to hit shelves in summer 2018. The book details the self-care practices that sparked Sarah’s healing journey. Sarah presents at corporate and nonprofit venues both big and small and currently hosts Mindfulness, Meditation, and Stress Reduction classes at Groton Wellness, Pilgrim’s Landing, and Stanley Black & Decker. Her work is ignited by an enthusiastic dedication to integrating body, mind, heart, and spirit as well as an unshakeable conviction that there’s nothing in life that can’t be healed. When she’s not writing, teaching, mentoring, or working on her own self-care practice, you can find her getting intentionally lost on a dog walk or laughing with friends and family on her porch at her family property on Cape Cod. With a strong focus on mantra and breath meditation, this retreat offers a guided yoga and mantra meditation experience from the Kundalini Yoga tradition. It’s perfect for beginners and experienced meditators. Together we create a higher vibration where optimum health arises naturally. Think of this as a three-day RESET for your body and mind. The intention is that you will leave feeling clear, vibrant, and inspired! All rooms are shared. Note: If you would like a single room, please contact us for housing and pricing options. All rooms on property are unique, with multiple beds to fit almost all room sharing requirements. Please note that all bathrooms are shared with multiple rooms or people. All rooms on property are unique, many with multiple beds to fit almost all room sharing requirements. Please note that all bathrooms are shared with multiple rooms or people. Single/couple single rooms are available offsite (but very close by) and are available on a first come first serve basis. Please note that, because space is limited, we are not able to provide refunds. If you cannot join us, you may send someone in your place. Travel insurance is recommended. Should the facilitators need to cancel the event, travel will not be reimbursed. 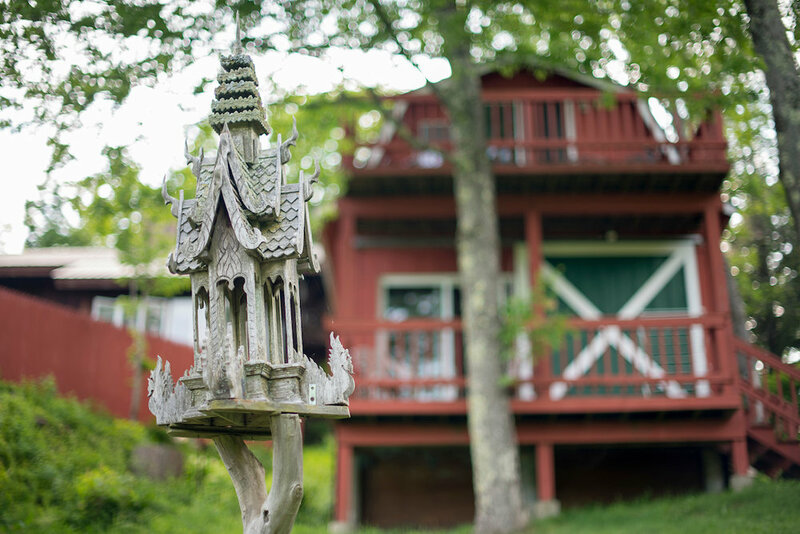 Angels’ Rest is a Massachusetts retreat center located on 19 acres of private woodlands and meadows in the foothills of Western Massachusetts. The elevation of Angels’ Rest offers breathtaking and far-reaching views of mountains to the east and south. With its pristine natural environment, comfortable quarters, and personal care, Angels’ Rest creates a setting conducive to deep work--be it corporate goal setting, learning, yoga and meditation, or relaxation and healing. They are only 2 hours west of Boston, MA, and 1 1/2 hours north of Hartford, CT, so travel to Angels' Rest is easy to arrange from Boston, New York, Washington D.C. or any other major East Coast airport. Click here for train, bus and cab information.